In 2015, power left the hands of the People’s Democratic Party (PDP) to the All Progressive Congress (APC). 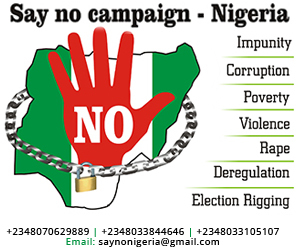 Many Nigerians were having great faith and hope that corruption in the country will be reduced. Despite the campaign promises, made by the present President Muhammadu Buhari to eradicate corruption in the country, Nigeria still ranked low in transparency and high in corruption though there was a slight improvement. In the year 2015, out of the 168 countries surveyed, Nigeria was seen at the bottom of the table in the category of number 136. This implies that Nigeria was the 32nd most corrupt country in the world in 2015. The situation has made so many people feel a lot of pains as the money which would have been used to reduce poverty in the country are being channelled into the pockets of small group of persons. Those who were appointed to fight corruption in the country are also found as the victim of the same problem they fight. The $2.1 billion arms deal, the money which was budgeted for the purchase of arms in the fight against Boko Haram insurgency group in the country suddenly grew wings and disappeared. Also, the former Chairman of the Economic and Financial Crimes Commission, EFCC, Ibrahim Lamorde, was accused of fraudulently diverting over N1 trillion proceeds from corruption recovered by the agency. The recent corruption news is the special operation conducted by the operatives of the Economic and Financial Crime Commission on 3rd February 2017 on a building belonging to a former group Managing Director of the Nigerian National Petroleum Corporation (NNPC), Dr Andrew Yakubu, in Kaduna which yielded the recovery of a whooping sum of $9,772,800 and another sum of £74,000 cash. The huge cash was found hidden in a fire proof safe. Another is the $37.5m property that is linked to the former Minister of Petroleum Resources, Mrs. Diezani Alison-Madueke. According to the Economic and Financial Crimes Commission, this is the latest on the list of choice properties said to have been acquired by the ex-minister with alleged stolen public funds. The property was acquired by the former minister between 2011 and 2012 at a total cost of $37,500,000USD from the developers, YF Construction Development and Real Estate. Also, members of the National Assembly pay themselves allowances for staff and offices they do not have or maintain. 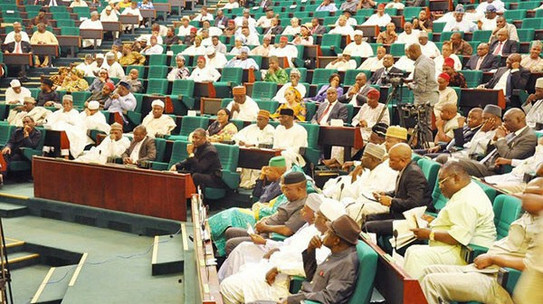 Once you are a member, you are co-opted and your mouth is stuffed with rot and corruption that you cannot opt out as you go home with not less than N15 million a month for a senator and N10 million a month for a member of the House of Representatives. As a result of these corruption sprees, a whole lot has occurred and is occurring, this has led the whole nation into these devastating consequence. Lack of Faith and Trust on The Government. People vote for our leaders based on their trust in them. But many are found to be involved in corruption thereby making people to lose faith in them. Companies that would have invested in Nigeria are afraid because they do not know if the corrupt practices will ruin their industries in time. Because of this, they refuse to invest in Nigeria. In countries with high corruption, there are more health problems among the population. No clean drinking water, absence of quality food grains supply, highly polluted environment and so on, all the contractors and the officials involved decides to spend more than half of the allocated money for their own personal benefits, leading to substandard and low quality services everywhere. Any country with high corruption is likely to experience developmental bankruptcy. A situation where some CEOs indulge in corrupt practices to make their money means that economic development will suffer. When Nigerians keep on shifting the country’s currency to foreign countries, there will be less economic development in Nigeria. Sincere, honest and hard working citizens develops an aversion for political position and participation even though they would have loved to. This happens because they believe that they will also need to be involved in corruption if they get into post.